Catalunya en Miniatura offers a unique setting for its natural, cultural and adventure, to celebrate all kinds of acts environment. From a trip, a party, a presentation, a company dinner, a meeting with friends, a convention or any other event. Moreover, these acts can be both day and night and every day of the year, advance booking, we are always open. Our staff is specially trained for all visitors and guests enjoy a pleasant stay and are well catered for at all times. 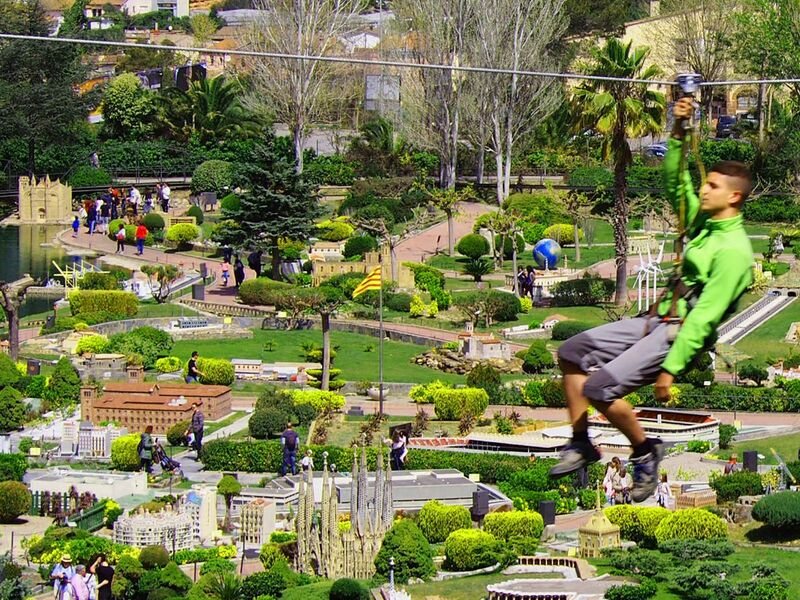 During the meetings, seminars, presentations or any act that takes place, visitors can freely walk in the park where, no doubt, will be swept away by the charm of our models, automation and gardens delicately care, enjoying all the recreational and cultural wealth in a single space, we also have vertical adventure circuits for virtually aLL AGES. To this you can add our restaurant service. The visit to Catalunya in Miniature is an experience interesting, fun and unique learning for all school levels. It is a journey through the regions of Catalonia province and seeing the buildings and most representative monuments of the country through the circuit models. The approximate duration of the visit to circuit models is 1 hour and half. The ticket price always includes a teaching guide for students to work during the visit or at school and an invitation to return to visit the park with the family. In addition, the park also has 4 adventure circuits for students to enjoy nature doing sports and leisure activities. The approximate duration of the visit is 90 minutes. 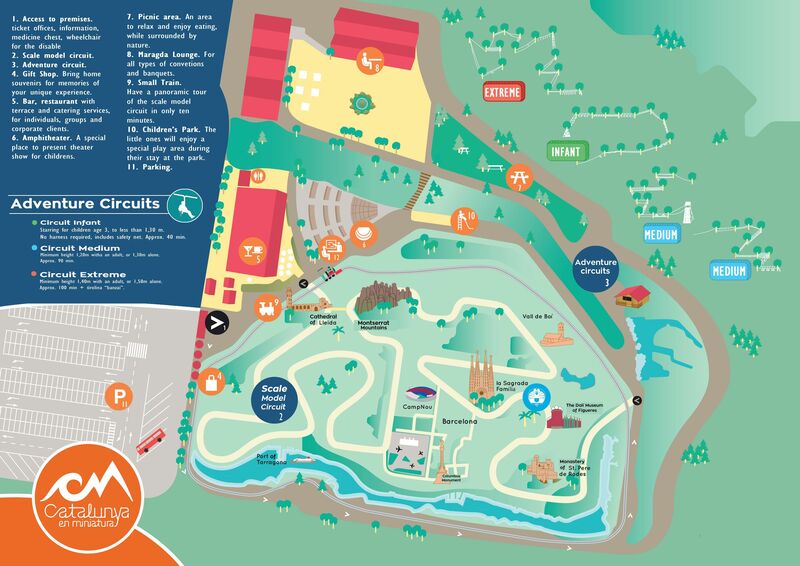 In addition, the park also has 4 adventure circuits for children to enjoy nature doing sports and leisure activities. Do not miss this opportunity for extracurricular outings, is one of the best destinations in Catalunya, you will find all services for a unique and special output, combining a great day in the countryside, leisure, culture and adventure to the fullest, free parking for buses with special seats for them. The park has several areas to enjoy the day birthday in the company of friends in an original and unique way. They can spend the day surrounded by culture, nature, outdoors and enjoy the ADVENTURE CIRCUITS, making all kinds of activities in a privileged environment. Surely you remember this great day! Call and inform you. 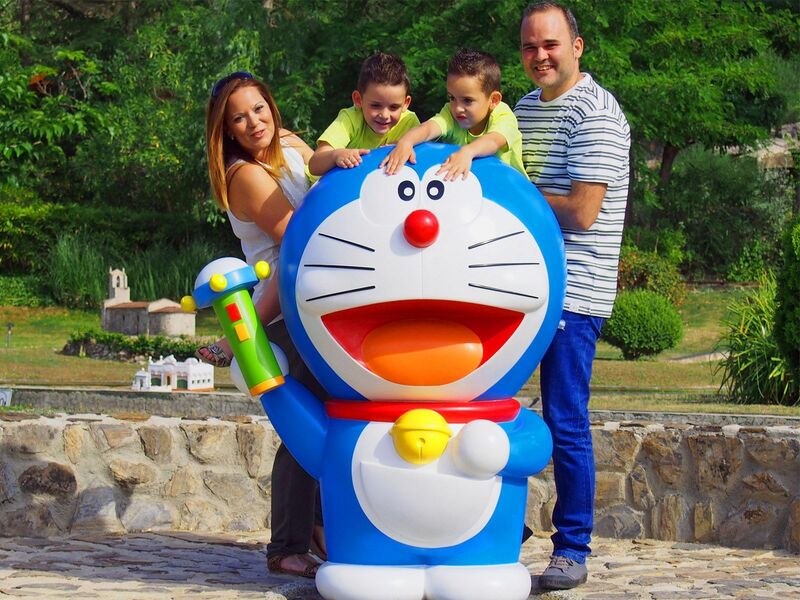 Doraemon also have space, it is a conditioning module designed for the kids. We gave them the key and becomes a private space to celebrate the holiday at home, if you prefer you can bring food and drink !! Also the cake !! Considering our location, 13 km from Barcelona, ​​the environment, nature and our facilities, parking, restaurants, lounges, circuit models and vertical adventure circuits, we become the ideal for a different output stage. The use and use of leisure, adventure and fun of a combined form is a good way to meet the challenges imposed on a company. To discover the fantastic experience of living the forest in a different and original way with activities conducted independently, under the supervision of specialized instructors. Extrem Circuit / medium-high difficulty. Banzai zip line 150 meters. Guided tour of the model shop. € 17.50 PARK ENTRANCE EXHIBITION MODELS AND FOOD SERVED IN MESA, is the best Catalonia. Call us !! Do not miss it!!! More than 35 years ago we received several groups, of all nationalities and ages, experience supports us and become that game in one day, really different, special, unique … the treatment of our staff is exquisite and our goal is to meet the needs of our visitors, we tailored suits, explain your concerns and sure podernos really offer what you need. Call us and talking people understand !!! This spacious, warm and cozy lounge is ideal for corporate events, weddings, family reunions or friends, or any other act that requires bringing together a large group. There is also the possibility of separating the living room from dining area for classroom for complete privacy in the same space. Surface: 270 m2. / Banquet: 200 pax. / Cocktail: 300 pax. / Classroom: 150 pax. This room is suitable for large events and offers a wide range of possibilities. Surface: 450 m2. / Banquet: 350 pax. / Cocktail: 400 pax. / Classroom: 250 pax. Large area in the countryside with many possibilities for multitudinous and informal, or to different, funny and original celebrations meals. It also allows alternative entertainment and leisure and outdoor field games: zip lines, rope games, treasure hunts, etc. The amphitheater is open to all kinds of activities. Formed by an outdoor stage and can accommodate up to 400 people.